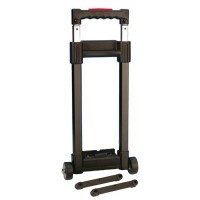 We have an extensive range of EXTENDABLE HANDLES to suit every requirement with large stock levels for speedy despatch. Recessed Pull-Out Handle, Closed Length - 495mm / 19.49" Handle Extends - 264.5mm..
4-Stage Telescopic Handle New 4-Stage Telescopic Pull-Out Handle t..
Removable Case Trolley 235mm / 9.25"
Removable Case Trolley 235mm / 9.25" Handle Extends - 900mm / From Top to Bottom .. Extendable Handle - 4 Stage Dimensions Closed: 180mm x 300mm / 7.09" x 11.81" Dim.. Heavy Duty Steel Pull-Out Surface Mount Handle with moulded grip. ..